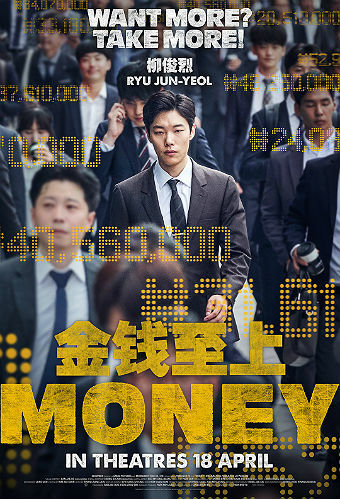 Synopsis: Aspiring stockbroker Il-hyun (RYU Jun-yeol) dreams of making big money, but being a rookie without the right connections makes it difficult for him to survive in the cut-throat world of stock exchange market. So when he is approached by ‘The Ticket’ (YOO Ji-tae), an anonymous mastermind who secretly controls the stock market, he takes the chance despite the dire consequences. .
Q) In MONEY, Ryu Jun-yeol stars as a rookie stockbroker dreaming of making big money.